Brian's Taiwan: OMG Bacon...with butter! 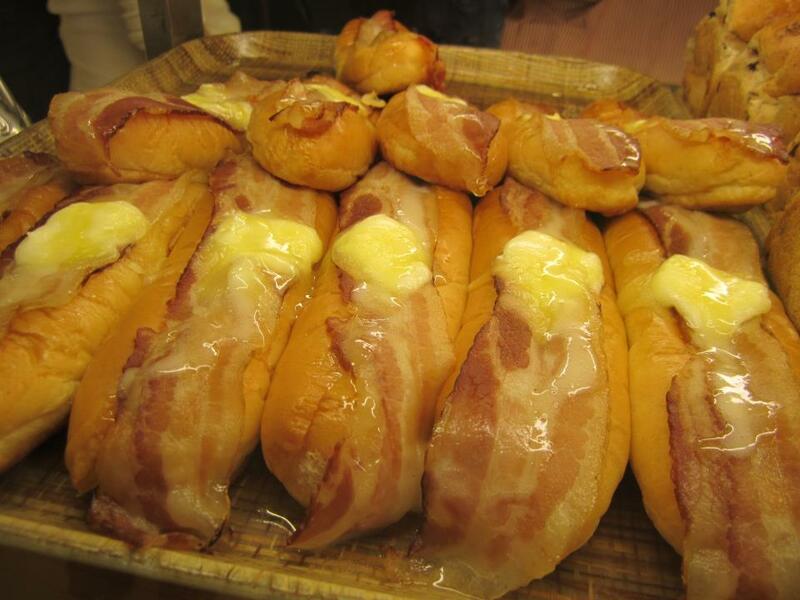 This is a Taiwanese soft pastry bread topped with cheese, bacon and a generous glaze of butter. Oh you have to love the Taiwanese for this creation. I ask you, How can you go wrong with that combination!? It just oozes heart attack on a roll with the taste of heavenly bliss. If you want to scarf one of these down, you can find it at Yamazaki Bakery near the Eslite underground mall section at Taipei Main Station. Probably at any of their locations around Taipei too. This deserves a OMG Bacon...with butter! !